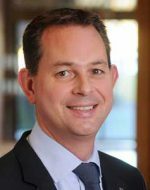 Karel Tanghe is Head of KPMG in Belgium’s Insurance practice and the Insurance Commission. Karel’s professional services focus on the financial sector and include audit and attestation, reviews and compilation of financial statements, consolidation, regulatory and compliance attestation, review and reporting on internal control (incl. ICOFR), international (IFRS/US GAAP) and national accounting standards, mergers & acquisitions, due diligence assistance, valuations, EEV and Solvency II. KPMG is a professional service company and one of the Big Four auditors, along with Deloitte, Ernst & Young, and PricewaterhouseCoopers. Seated in Amstelveen, the Netherlands, KPMG employs 207,050 people and has three lines of services: financial audit, tax, and advisory.